One of the biggest rewards that you get usage of once you obtain https://sydneyrx2014.com/buy-viagra-australia.html once you obtain Viagra online that you get access to once you obtain Viagra online, that you could be the ability to be discrete. The bloated body of Horatio Magellan Crunch, better known as beloved breakfast icon Cap’n Crunch, was found floating off the coast of Mogadishu earlier this week. The sweetened, yellow square-shaped cereal skipper was murdered by Somalian pirates. 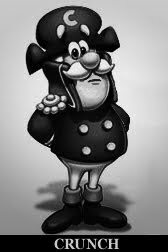 It is no secret the Somalian pirates have long coveted the high-ranking Captain's secret stash of Deep Sea Crunch, which incorporated sea creature-shaped berries into his original cereal. Deep Sea Crunch was discontinued in 1993 then brought back briefly in 2009 until Quaker Oats noticed an upswing in pirate activity. Pirates targeted ships toting the fruity breakfast item to porky kids in the West Indies. The fat little bastards never received their Deep Sea Crunch shipments and Quaker Oats discontinued the cereal once again. There has been speculation, however, that the pirates were employed by General Mills and longtime Cap'n Crunch arch-nemesis Lucky the Leprechaun, in order to obtain the rare sea creature berries and release a High Seas batch of Lucky Charms in time for St. Patrick’s Day. The General and his shanty Irish mate have battled Cap’n Crunch for years to earn the right to fatten up America’s youth, with the clash elevating in the late 80s and early 90s. The Captain is survived by sixteen obese to morbidly obese children. He was preceded in death by his wife Mrs. Beatrice Crunch who passed ten years ago due to complications from diabetes and gout. The Captain will be remembered for his love of opera and grams of fat. A celebration of his life will be held on Saturday March 12, 2011 from 7:30 a.m. to 10 a.m. at the IHOP near the U.S. Naval Academy in Annapolis, MD. In lieu of flowers, memorial contributions may be made to his favorite charity: Cake Wars.